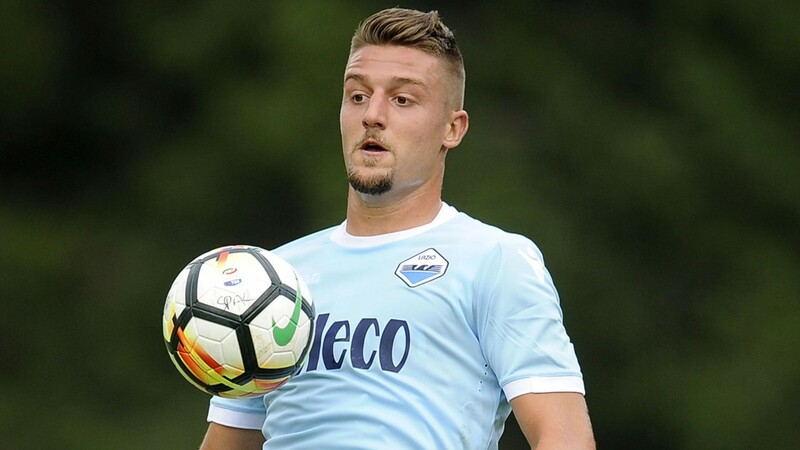 Manchester United are preparing a club record bid for Lazio and Serbian midfielder Milinkovic-Savic, according to reports across The Telegraph and Sun today, with Jose Mourinho ordering scouts to go and pay close attention to the midfielder. The 22 year old joined Lazio back in 2015 from Belgian side Genk and has since established himself as one of Serie A’s most promising stars, playing a crucial role in Lazio’s successful Supercoppa Italiana campaign earlier this year. The Serbian has however been turning heads all across Europe, with Barcelona, Real Madrid and also Bayern Munich all monitoring the midfielder’s services, according to further reports. Whilst predominantly operating from the centre of midfield, Savic is recognised for his all rounded style of play as through his balancing of both defensive and offensive duties, the Serbian can be categorised as more of a box to box type midfielder. With five goals to his name already this season, Savic will certainly continue to be a key cog within the Lazio midfield throughout the season, as the Italian side continue to push for a Champions League placed finish. The price being speculated around Savic has however not been a cheap one, with reports stating that it will take a bid of up to £95m, for Lazio to consider letting their star midfielder go. Whilst a move for the Serbian remains unlikely in the upcoming January transfer window, this story will inevitably follow into next Summer, the most realistic period in which Savic will move on from Lazio. With United’s current lack of depth when it comes to the central midfield area, it is perhaps no surprise to see Mourinho scouting further options in this department, but time will only tell as to whether these rumours will surface into anything more than just speculation.